Where is google approval sent or being sent or will be sent in a couple of days ( one or two weeks as usual ) ???!! I accidentally slipped my phone from bed (almost 1.5 feet) and screen cracked(floor is tiled) . 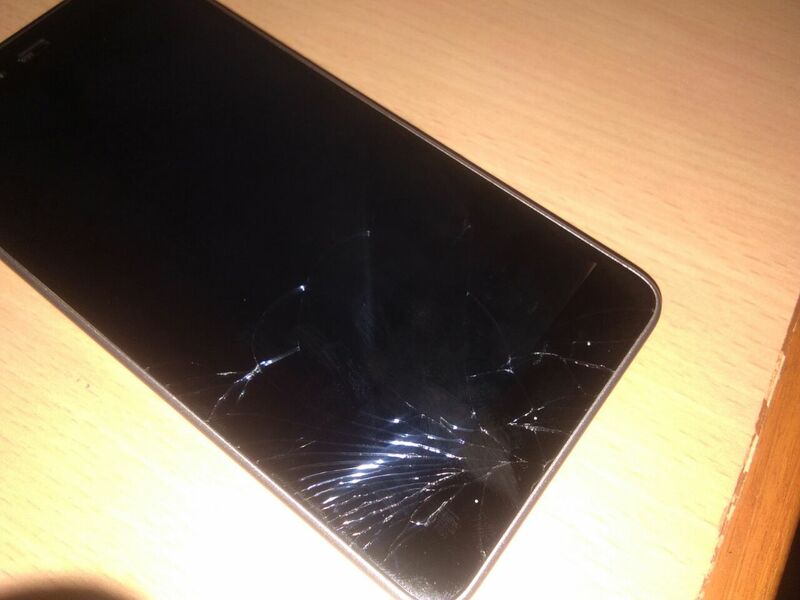 I wonder what kind of protection gorilla glass v3 provide! I guess they aren't using original gorrila glass or they are befooling us. Tumne tempered glass lagaya tha kya?? Its not like that. Mine was safe even after slipping from 5 feet without any protection on hard tiled surface. Nothing happened to device. I was landed on left corner. I think that it depends from angle to angle. Corning® Gorilla® Glass 3 with Native Damage Resistance™ (NDR) is fundamentally tougher and more damage resistant even before chemical strengthening. This might clear all doubts. Are you using Srt phone? Did you updated it to the latest version? My phone heating issue solved after update. See, any phone pushed to its limits will heat. Bro, the phone is still really great. One failed Oreo Update can't change anything. Be patient. Remember Oreo brings nothing new except minor things like PIP which anyways will take like an year or 2 to be well implemented by all apps and everything. Ex: The Quick Access toolbars in 7.1 are still not well implemented and only Google Apps support them mostly. There will be small improvements which are not worth dying for anyways. We need Security Patch updates and not just OS Updates. And the issue of Battery has been resolved in FOTA 5. And plese understand that heating in a phone is like breathing in a human. Has to happen more when being pushed to the limits. You can't expect a phone to run at 35℃ while running simulation games or AR. To all those who are frustrated and spamming this forum with repeated queries and hate filled comments at the company. Please go try to find something useful to do. Some of us check in to this forum at the end of a day's work to see if the update is released and before we come to the disappointing conclusion that it's not yet been released, we have to go through all the crappy comments, which is just tiring. Please have patience till they release the stable update. Oreo's got very few new things. In support of the srt. I have said it before and I'll say it again-"It's an absolute workhorse". No question about it. Unless you've received a faulty device. And please stop using the phone when it's charging. No company will support that kind of usage. Once 85% of the charging is done it cools down. And @Abhishek_tv and development team, please give a stable update at the earliest. Thank you to whoever reads this patiently and will heed to it. People also don't spend time on forum or use search tool to get their answers. Same questions are asked again and again, when answer are already given.